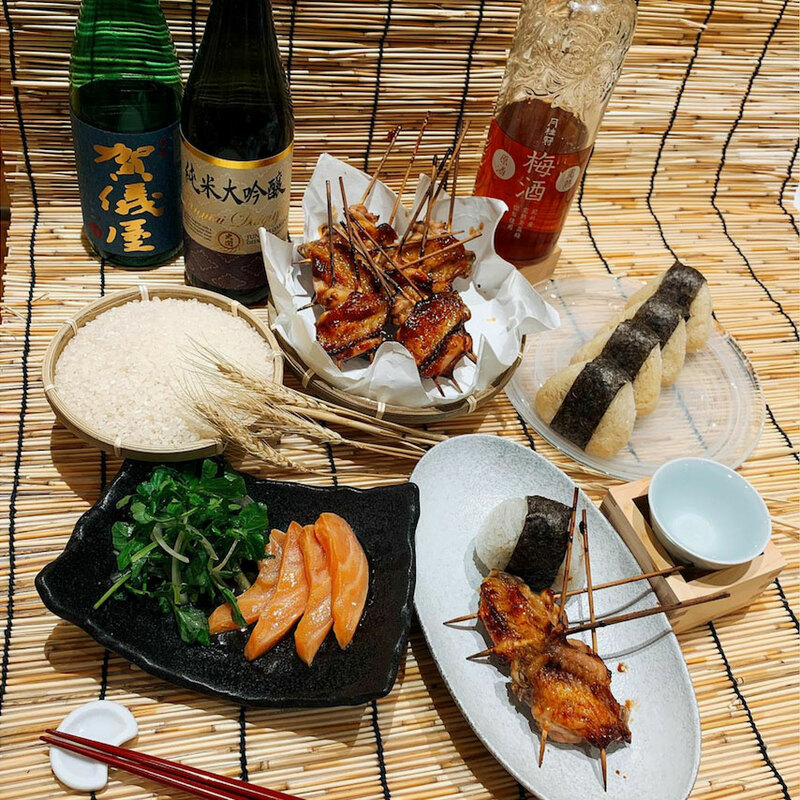 Sake, an alcoholic drink made from fermented rice, is a remarkable beverage to pair with food and it is a lot more versatile than what people think. 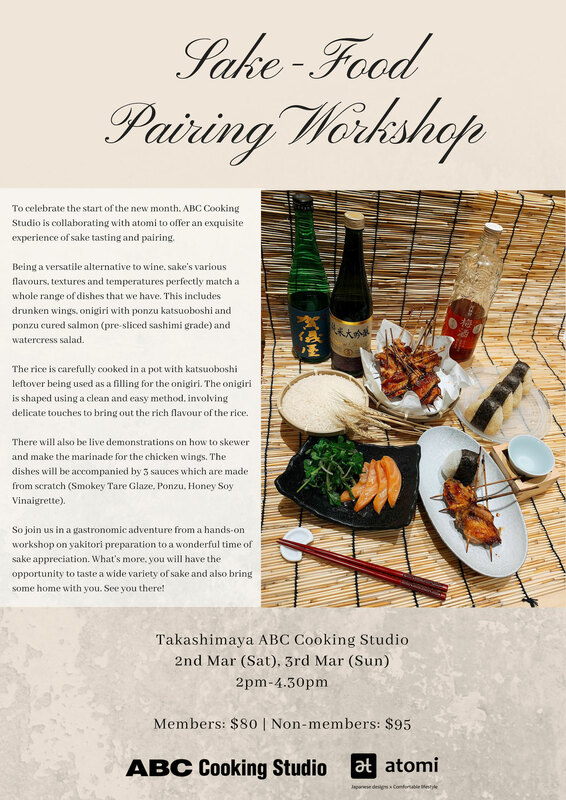 Join us as we explore sake together and gain insightful knowledge about Sake – food pairing by learning how to make Ponzu Cured Salmon, Watercress Salad, Drunken Wings and Onigiri with Ponzu Katsuoboshi from scratch, led by our professional instructor, Ken Yeap! 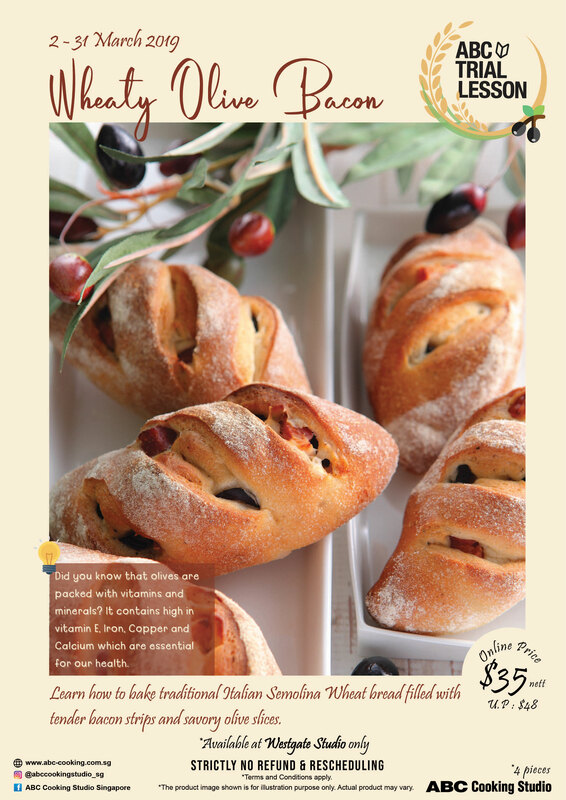 Bacons and Olives are one of the most mouth-watering and addictive combinations. 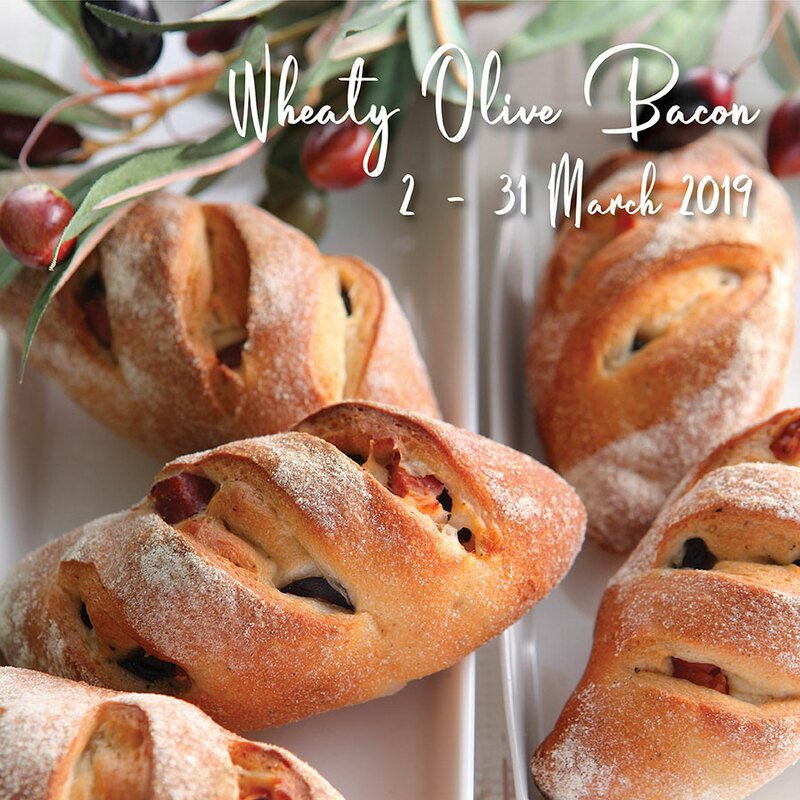 Join us as we learn how to bake traditional Italian Semolina wheat bread, filled with tender bacon strips, savoury olive slices and juicy cherry tomatoes. The cherry blossom season is here! Immerse yourself in the sea of pretty flowers right from the comfort of your kitchen. 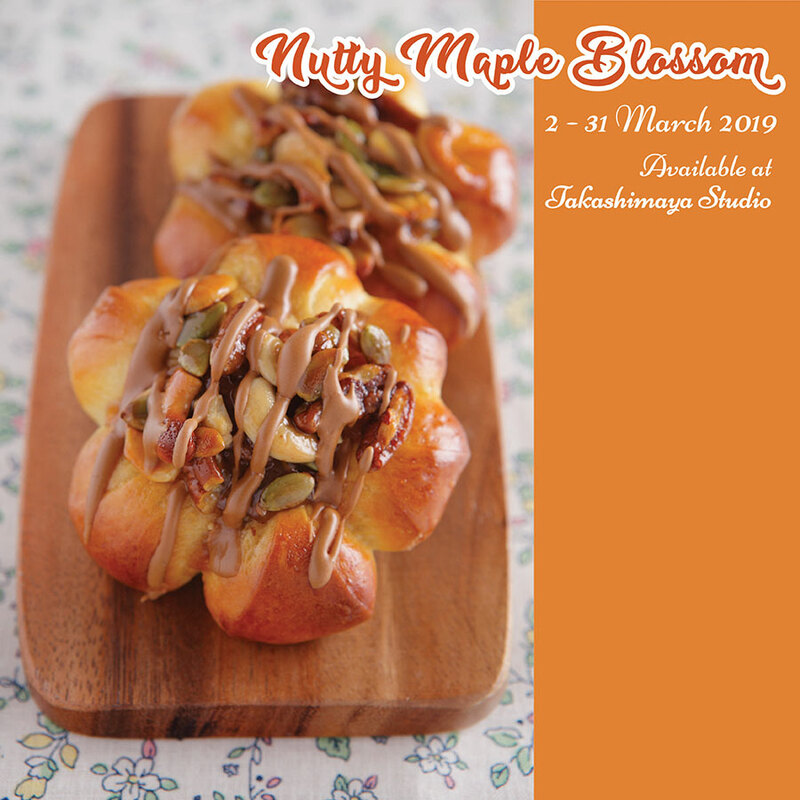 Join us as we learn how to make flower-like bread, topped with 3 different kinds of nuts and maple syrup drizzle. 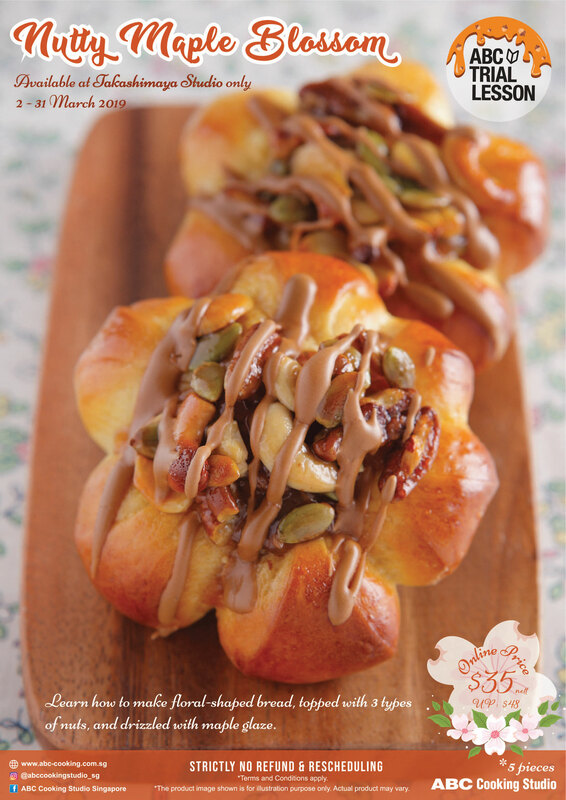 It’s a perfect snack for spring! 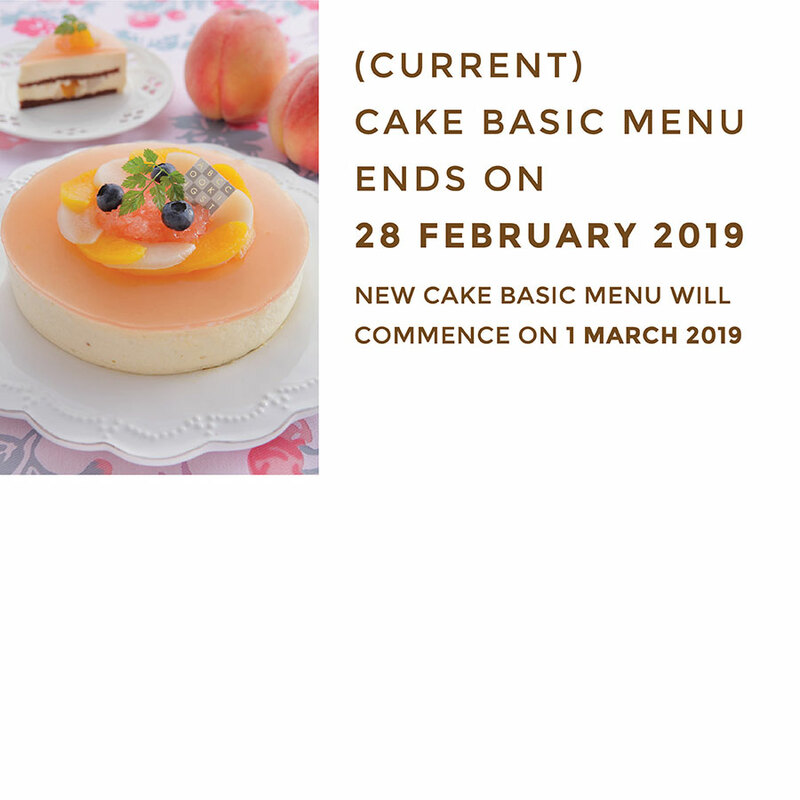 Our current cake basic menu will be ending on 28 Feb 2019! 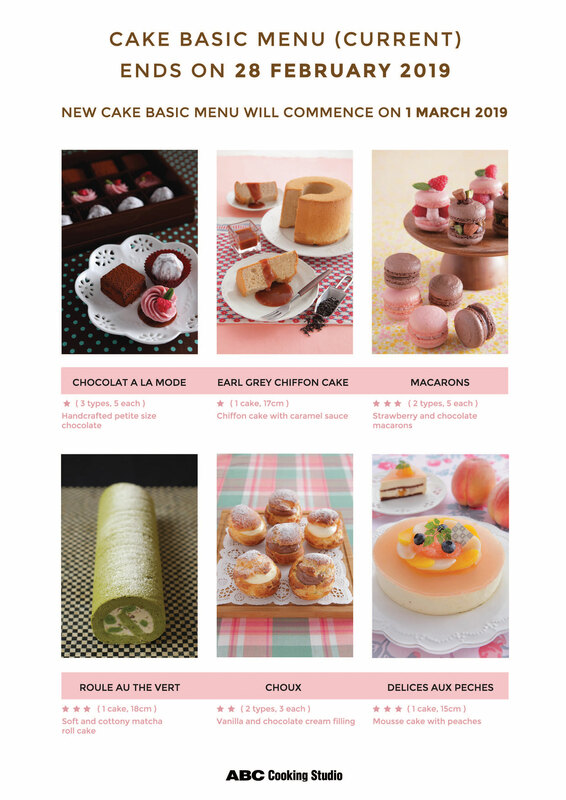 Below are the last 6 cake basic menu that will be taught this month. 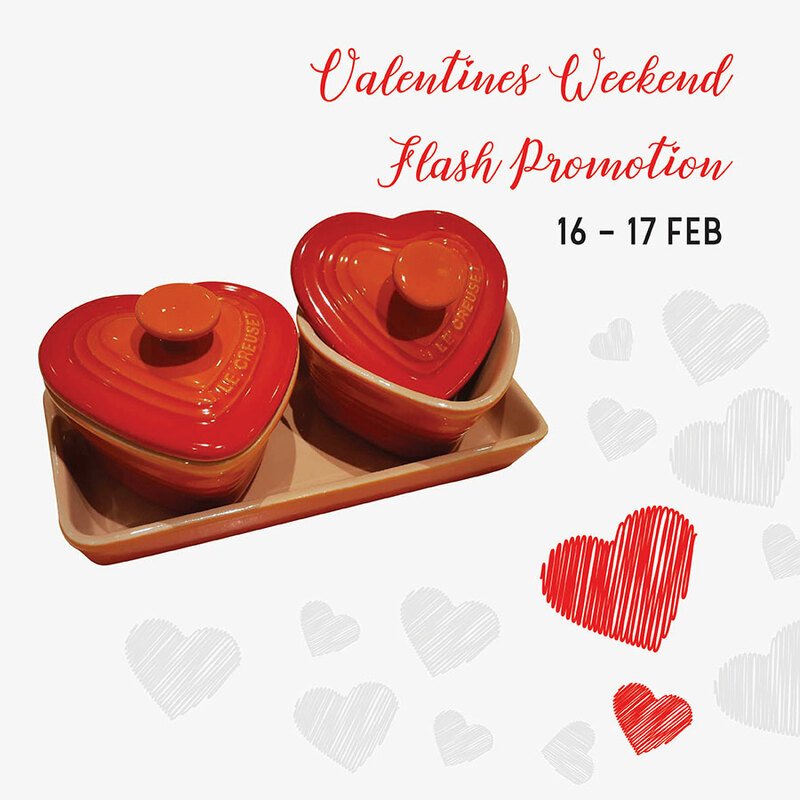 Yes, we have just celebrated Valentine’s Day BUT we know that your love for cooking and baking for your partner will never cease, even after Valentine’s Day! 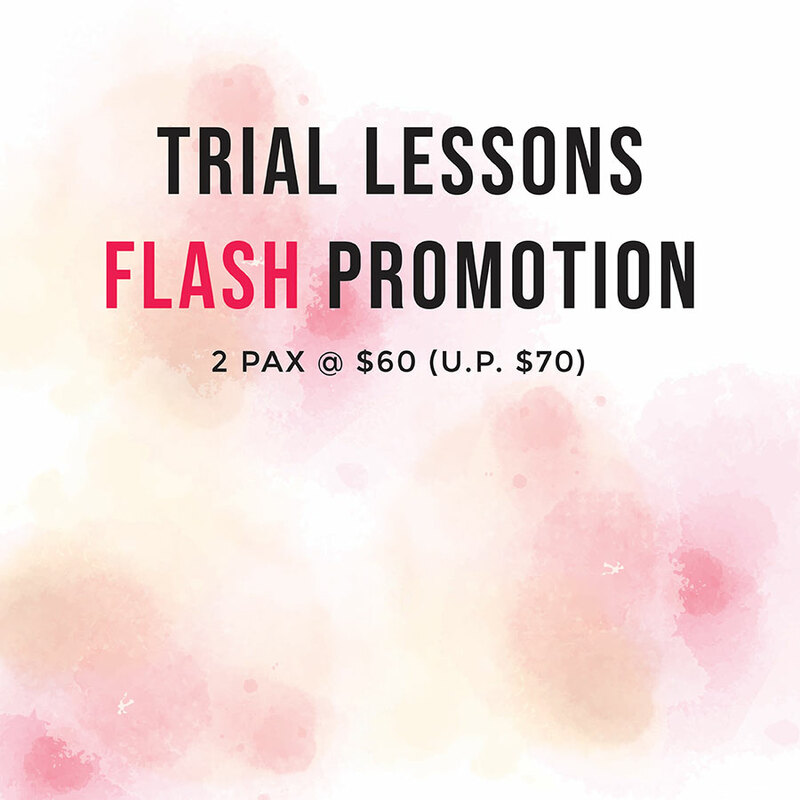 Thus, we are going to have a Valentine’s Weekend Flash Promotion. 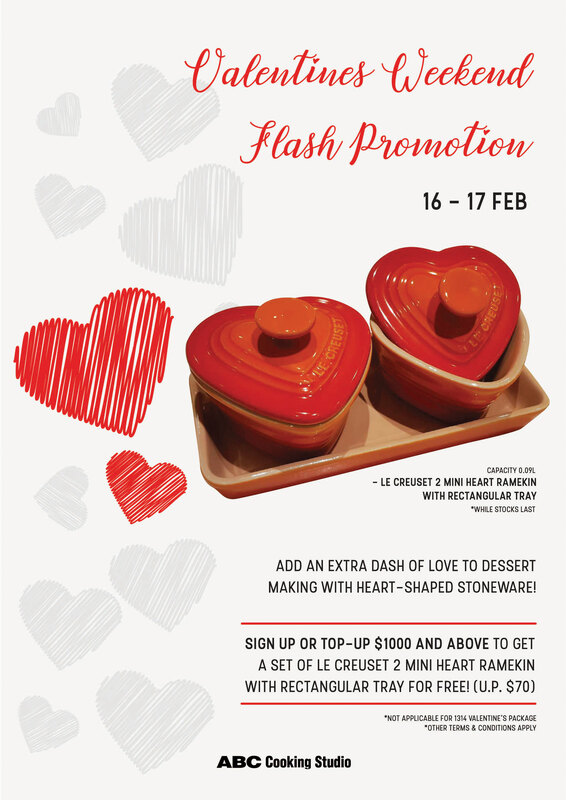 Sign-up or top-up $1000 and above on any courses from 16 to 17 Feb 2019 to receive a set of LE CREUSET 2 Mini Heart Ramekin with Rectangular Tray for free (U.P. $70)! You can showcase your handmade dessert through this cute heart-shaped stoneware! Head down to our studio now to find out more! Valentine’s day is coming! Still not sure which desserts to whip up this year? 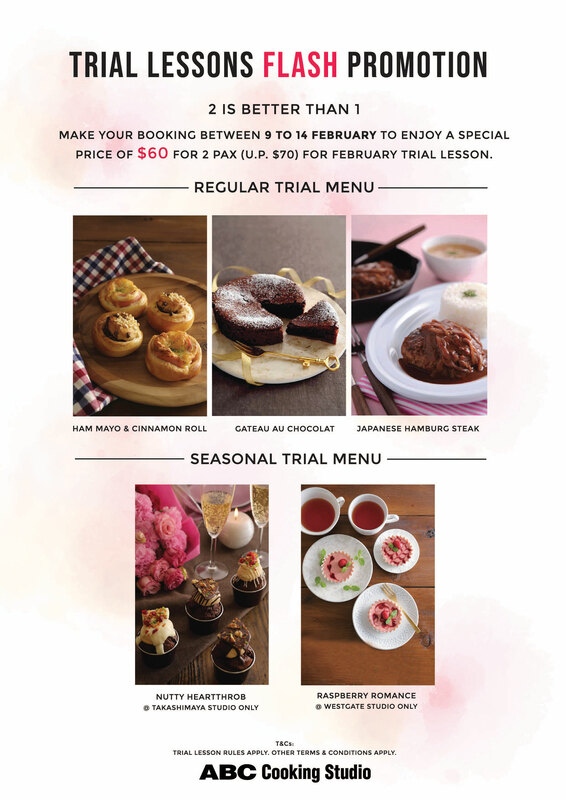 Why not join us for a trial lesson where you can learn how to make decadent desserts from scratch, with love. This announcement and its contents serve as a reminder on our existing 10 minutes policy and our commitment to providing the best experience for all our customers. 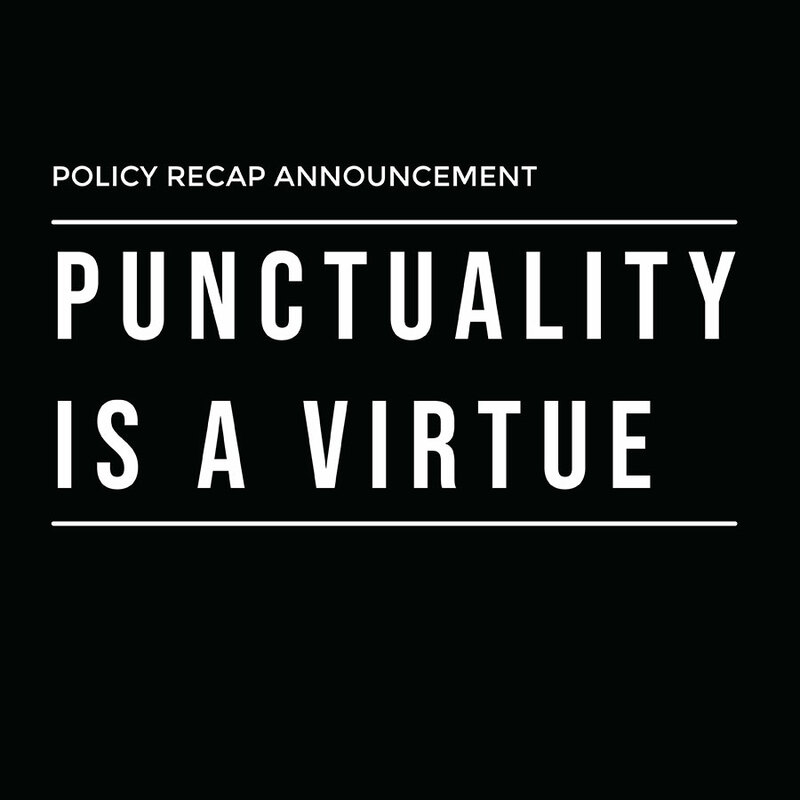 Your punctuality is important to us. We would also like to remind the customers that our membership is non-transferrable, which means your family and friends also unable to attend lessons on your behalf. Also, our cancellation policy states that the deadline to cancel an existing Regular Lesson reservation without penalty, is 12pm of the day before the reserved lesson. 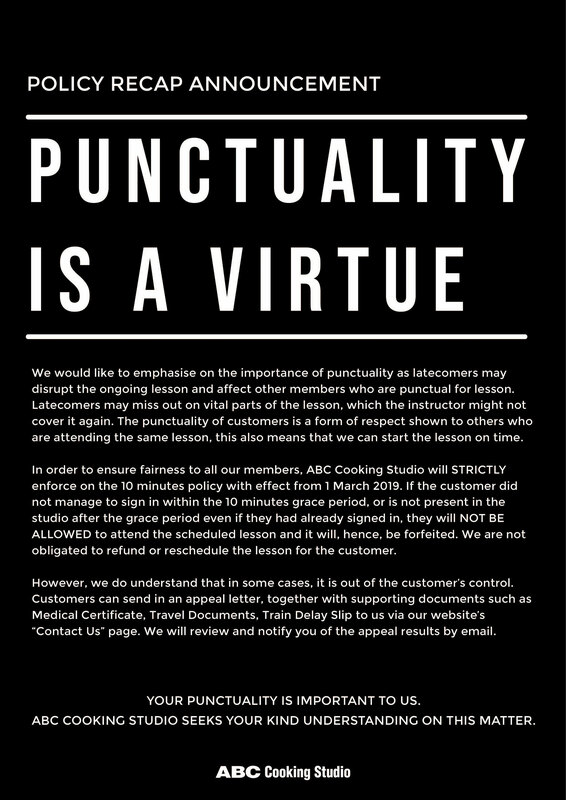 We are not obligated to refund or reschedule the lesson for customers that cancel last minute or did not show up for the lesson. We seek for the kind understanding and cooperation on this matter. Bouquet of roses, box of chocolates, branded bags and watches… Why do you want to buy these for your partner when you can’t enjoy it together? 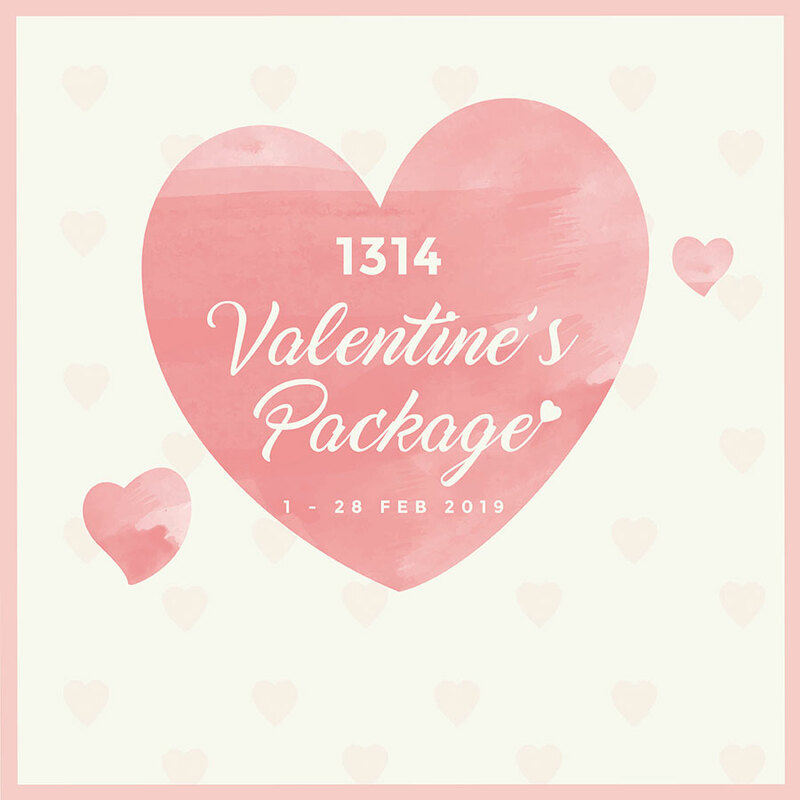 In conjunction with the upcoming Valentine’s Day, we have come up with a limited edition 1314 Valentines Package, perfect for couples that love to experience cooking and baking together. 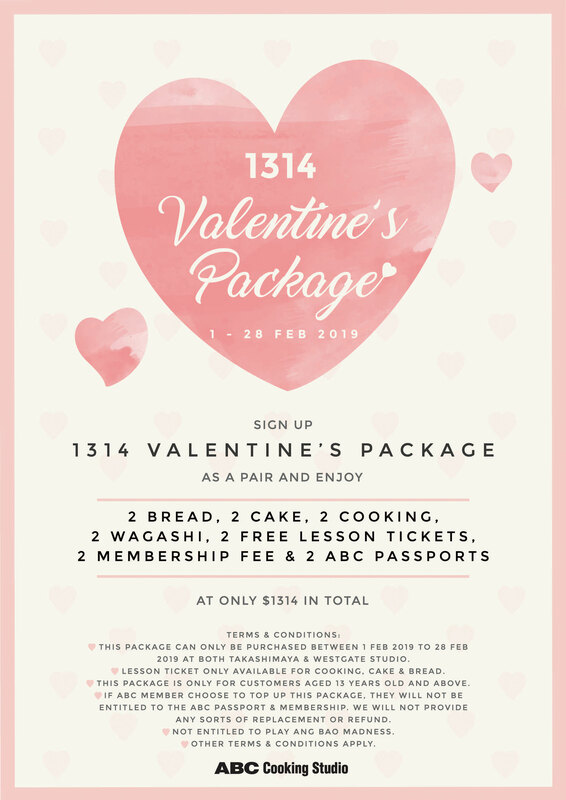 Sign up as a pair and enjoy 2 Bread, 2 Cake, 2 Cooking, 2 Wagashi, 2 Free Lesson Tickets, 2 Membership Fee and 2 ABC Passports at only $1314 in total! Head over to our studios for more information. 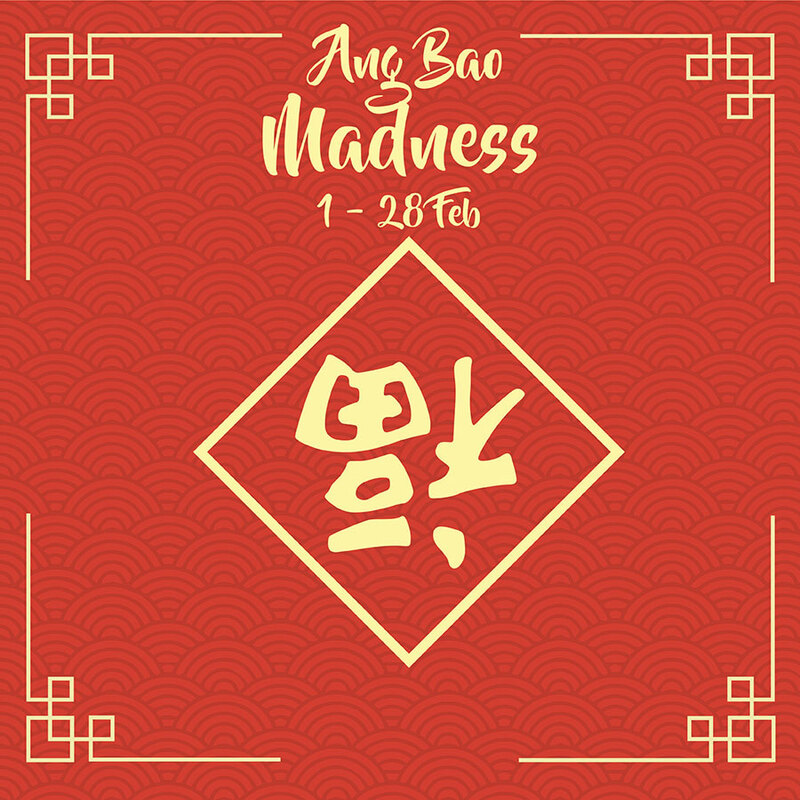 *Those who signed this package are not entitled to participate in Ang Bao Madness. Will you be the one giving out Ang Bao or receiving Ang Bao for this upcoming Chinese New Year? Wish to receive Ang Bao even though you are not qualified for it? ABC will give you an Ang Bao regardless you are married or not! 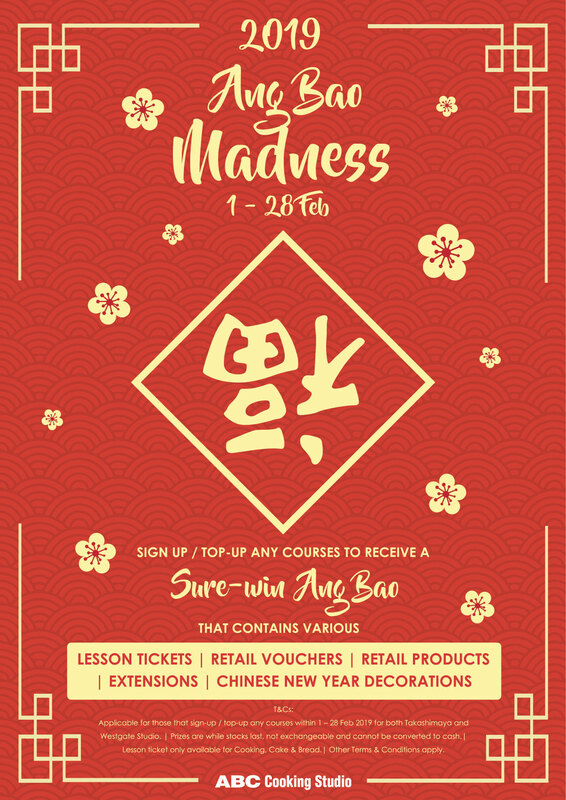 Sign up / top up any courses to receive a Sure-Win Ang Bao from us! 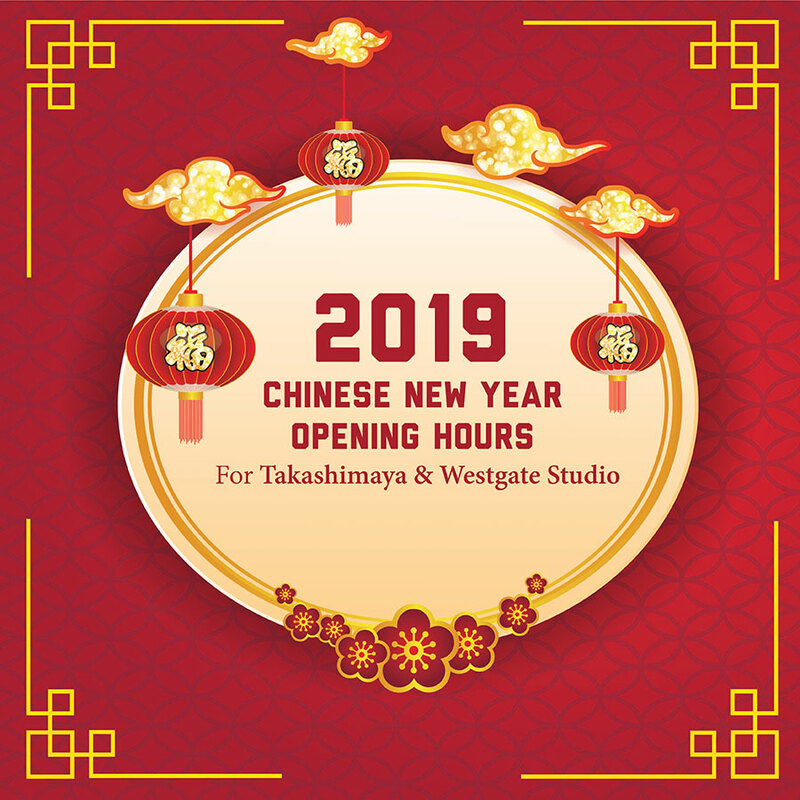 You will get a chance to win away Lesson Tickets, Retail Vouchers & Products, Extensions, Chinese New Year Decorations and many more! Visit our studios now to find out more! 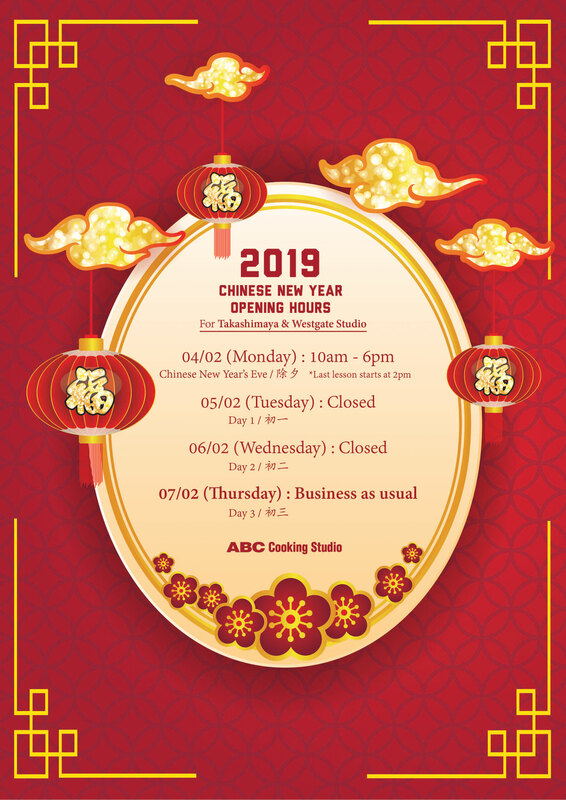 ABC Cooking Studio will be closed on 4th Feb 6pm to 6th Feb 2019. Last lesson will commence on 4th Feb 2pm, and lessons will fully resume on 7th Feb 2019. ABC Cooking Studio wishes you and your family a happy and prosperous Chinese New Year! Gong Hei Fat Choy! Everyday Huat Huat!